A Q&A with Bennet Omalu. Welcome to VICE Sports Q&A, where we'll talk to authors, directors, and other interesting people about interesting sports things. Think of it as a podcast, only with words on a screen instead of noises in your earbuds. This interview has been edited for clarity and length. 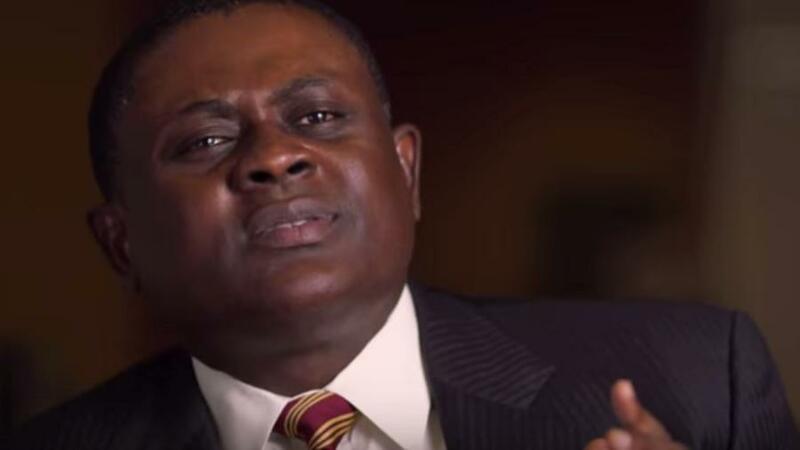 In 2002, Nigerian-born neuropathologist Bennet Omalu discovered the neurodegenerative disease chronic traumatic encephalopathy (CTE) in the brain of deceased former National Football League star Mike Webster. While CTE previously had been found in former boxers and others who had suffered repetitive head trauma, Omalu was the first researcher to find it in the brain of a former American football player—a discovery the NFL attempted to discredit and dismiss, but one that ultimately helped spur further investigations into how football can cause brain damage. Omalu is played by actor Will Smith in the new film Concussion, a drama based on the neuropathologist's real-life story. VICE Sports recently spoke with Omalu about the film, brain damage, and his recent New York Times op-ed arguing that children should not be allowed to play tackle football. VICE Sports: You had a very hard time getting people to listen to you and take your work seriously. Looking back, why do you think that was the case? Omalu: I think it's a convergence of a multiplicity of factors. Many of these things have been told to me by others. Some people have said that because I was an immigrant, a foreigner, that there was xenophobia. That I was coming in and telling Americans how to live their lives. Two, I was young. I was in my 30s. Maybe I was not an established name. When people heard about me, in their minds they thought I was this elderly white guy O'Malu—some Irish white guy in his 70s with gray hair who had been researching all his life in some Ivy League school! Another reason people have given me is that I wasn't in any Ivy League institution. I wasn't like, an established, top person in a [scientific] journal. I wasn't in a glamorous specialty. I was in a subspecialty—I was a forensic pathologist. Have you seen the movie? Then the final reasoning—having studied American culture, there is what I call the collective societal intoxication [with football]. Intoxication and addiction. Collectively, as a society. I was an outsider that possibly was not infested by that intoxication or addiction. So I talked in a non-aligned, independent, and objective manner. Maybe if I had been star struck by Mike Webster, I might not have the audacity to even open him up. Remember, in the movie, you see the other doctor telling me there was no need. I should leave him alone. But I proceeded. It was not easy for me to do an autopsy. We knew why he died. And then, the conformational establishment positioning—I didn't know what the NFL was in those days, but the NFL is a very powerful and influential organization. They had the ability to delegitimize me. To marginalize me. To ridicule me. So that people wouldn't believe the message because it was coming from me as a messenger. Many of their references [to me] pretty much went for the jugular. So I don't think it was any one single factor. Oh, there's another reason people have mentioned: it could be prejudice. Skin color. But that's not coming from me. This is other people's opinions. Between the time frame of the film and now, in what ways has the problem of getting people to listen to you and take your work seriously changed? When I was growing up in Nigeria, I believed America was underneath heaven. God's own country. A country that was closest to what God wants us to be as his sons and daughters. A country with the largest concentration of brilliant people, a place you could be whatever you wanted to be. That was how I saw it. I came to this country to just be myself. So in being myself and also contributing my little part to the American narrative, I was bruised. Battered. Mangled. Chewed up. Spat out. To put it in mildest form. What shocked me most was even my fellow doctors. Even the government! Even the National Institutes of Health! At the National Institutes of Health, an official said, "Oh, she doesn't want to be involved in anything that African is involved with. That Dr. Omalu, I don't trust him." This is an official at the NIH. But growing up in Nigeria, I saw Hollywood as a very powerful agent of change in America. Some people call them liberals—I call them champions of freedom. Hollywood was the very first establishment that saw me lying hungry, naked, broken, cold, by the wayside. And they have reached out their hand, helped me up, led me in, opened their doors to me, welcomed me, when everyone else sent me out and called me names. So Hollywood, being part of that American experience, it has reaffirmed my faith in this country I love so much. Are there any ways in which having your story told in a Hollywood movie—and you have Will Smith portraying you—are there any ways that has changed your ability to get your message across? No, no, this has never been about me—which has differentiated me from some of the other doctors doing this work. I've never wanted this to be about me. I've always wanted it to be about the goodwill for the players and their families. When this all started out, I thought they were suffering in obscurity. They were just expendable assets for the NFL to be used and dumped. So, with the movie opening, I'm very excited for the players. For their families. For Mike Webster. They have all been vindicated by Hollywood. And the young child out there who is having problems, and the parents are not thinking, Could exposure to repeated head blows have contributed to these problems? They all have been vindicated. Even the [football] industry, even the NFL has been vindicated. Hollywood has put the word out. The NFL couldn't have done it! People think this movie is about football. No, it's not. And it's not anti-football. I've never been anti-football. Some people may have misappropriated me. Remember, when I discovered this disease [in a former football player], I took it to the NFL joyfully. "Hey, look at what I found. Let's enhance the game. Let's enhance the players." Let's talk about medicine and science. The film is called Concussion, but the underlying health problem with football isn't simply concussions, is it? That is true. The issue is about blows to the head in whatever activity you do. So the best approach is mitigation of risk. Avoid activities that expose you to repeated blows to the head, because you can suffer brain damage with or without concussions. The subconcussive blows. The name Concussion? That is what is called branding. Business management. What is the terminology of what you can use that can enhance brand recall and optimize people's attention? The name is valuable for that, but in no way does it suggest the scientific basis of the concept. Another thing I need to point out: the [football] industry will want people to focus on concussion, because it makes it easier for them. That was why last year, what did the NFL do during the Super Bowl? They came out and announced that concussions were down by, I think, 23 percent [from 2012]. That is a marketing gimmick. They have every right to say that. There's nothing wrong with it. But in terms of the truth, it is not about concussions. It is about blows to the head. The film deals with your discovery of CTE in the brains of Mike Webster and other former football players—but again, when we are looking at getting hit in the head repeatedly and the brain damage that can cause, is CTE the only problem we have to worry about? CTE is part of a spectrum [of brain damage]. When you suffer a blow—a single blow or repetitive—you may have immediate symptoms or may not have immediate symptoms. But the absence of symptoms does not mean you haven't suffered cellular injury. You may have immediate symptoms, and after a while they dissipate. In some people, those symptoms do not disappear. They continue for months. That is what you call post-concussion syndrome. Some people may develop epilepsy. Some football players have epilepsy. Some of the damage is not progressive—you develop a disorder, and it stays that way. CTE is neurodegenerative. It gets worse. Concussion is part of the spectrum, but it is not the underlying cause. The underlying cause is [brain trauma], the factor that initiated the cascade of events. Not just that. There was a paper about this from the Mayo Clinic just last week. [In December, Mayo Clinic researchers announced that they had examined 66 brains from the clinic's brain bank belonging to men who had played contact sports in their youth—amateurs, not professionals—and found CTE in 21 of those brains. Researchers did not find the disease in 198 brains from people who lacked a documented history of participating in contact sports]. —yet when you were first discovering and investigating this disease, you were dealing with men who had played many years of professional football. At that time, did you ever suspect we would see CTE in athletes who never played professionally, and what do you make of the fact that we are seeing that now? What I want to tell people is I am excited and happy when I see independent doctors revalidating and confirming CTE. That makes me feel good. When I was researching, looking for a name for this disease, the fact that blows to the head causes brain damage was known as far back as the 18th century. So when I hear doctors denying, saying that we need more research—what do you need? If I tell you that a gun—if you shoot a gun it your head it is going to kill you—do you need research to find out if it can kill you? That is too much! This is a generally accepted principle and common knowledge. If you are an adult, and you make up your mind to play [football], I will be the first to stand behind you and support your right to play. But a child hasn't reached the age of consent. A child should become an adult before they make the decision to expose themselves to a harmful factor. This is the humanity of science.